I spent most of my weekend hacking away at the jungle in the back yard, trying to get the weeds somewhat under control. I was somewhat successful, but it's still kind of scary back there. The apple, cherry, and pomegranate trees are beginning to bloom. It looks like my third apple tree might flower this year, though whether it will produce fruit is a mystery. The grape vines are beginning to take off, and I'm going to have to start training them on their trellis. I'm most excited that the summer garden seeds I planted a while ago are doing really well so far. I should have some nice transplants in a few weeks. Also, what does your pomegranate tree look like? I guess I could google it, but I'd rather see yours. I'm not even sure I can remember what a pomegranate looks like, even. Only the seeds. Also, what does your pomegranate tree look like? A pomegranate "tree" is really a bush. 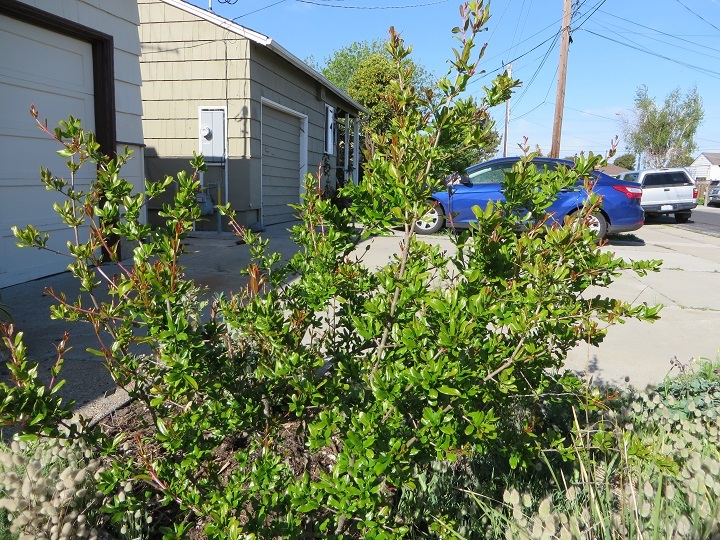 It's possible to prune it to have a single trunk so that it looks like a regular tree, the same way people do with things like roses, but I'm letting mine stay bush-shaped. 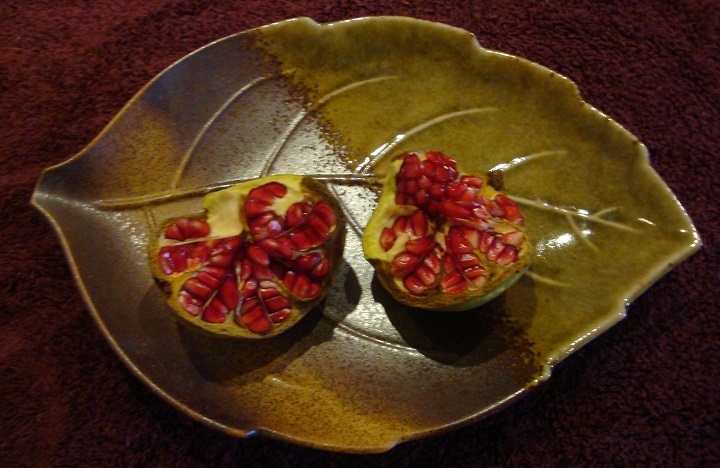 I got exactly one edible pomegranate last year, although it matured so late in the season that it didn't really have a chance to sweeten up. I'm hoping that I will get more this year, and earlier, now that the tree is a year older. The bush looks lovely! It looks as if your hare's tails plants are in full bloom, too!